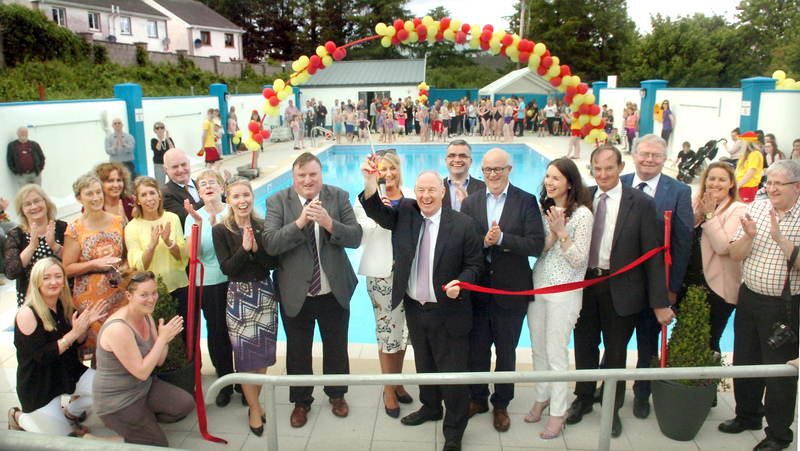 To the delight of the Charlestown community, newly-appointed Minister for Community and Rural Development Michael Ring TD on his first assignment as senior cabinet minister cut the tape to officially open their community’s new outdoor heated swimming pool. Delightfully celebrating the event were Swimming Pool Committee Chairperson Eileen McGuinness, Sec/Pro Maureen McEntire, Patricia McArdle and fellow committee members pictured with Dara Calleary TD, Mayo Co Council’s CEO Peter Hynes, Director of Services Joanne Grehan, and Collrs Gerry Murray, Tom Connolly, John Cribben and Richard Finn. Picture Henry Wills.